There are those days when you just want something cold and sweet to drink. And then there are those days when you'd like it boozy as well. And in milkshake form. With bacon. 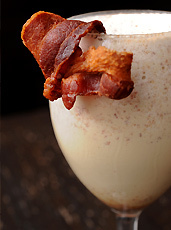 All hail the arrival of the Pigshake, the new bacon-and-ice-cream boozy mash-up, now available off-menu at Flash's. We know—the thought of throwing some thick, ice-cold vanilla ice cream and a handful of salty, crispy smoked bacon chunks together in a blender (along with some bacon fat and molasses to thicken the pot) seems to violate some dinner-dessert-shake rule set long ago, probably by the mystics who built Stonehenge. But rules were meant to be broken, in this case by some rogue bartender-warriors at Flash's (who luckily aren't too familiar with Stonehenge). These renegades combine all of the above with plenty of Captain Morgan spiced rum, pour it into a chilled wine glass, and finish the whole thing off with some maple syrup to complete the sweet and savory frozen concoction. 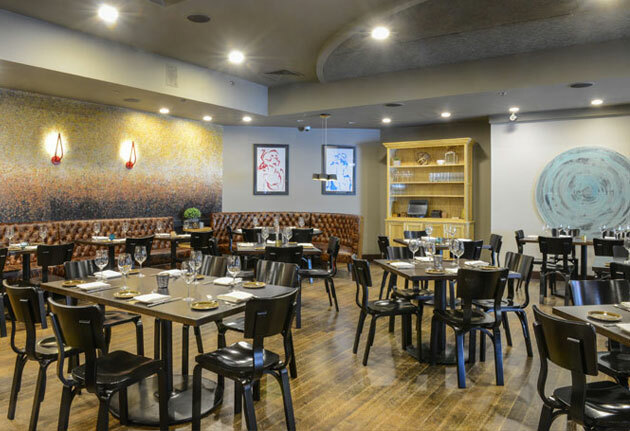 It's the kind of cold treat you'll want to look to next time you're relaxing in the Back Bay, with the sun burning high in the sky.